The department of industrial policy and promotion (DIPP) will push for foreign direct investment (FDI) in e-commerce as media reports indicated. As per the current FDI policies, foreign direct investment is not allowed in business-to-consumer e-commerce. 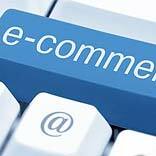 However, 100 percent FDI is allowed in business-to-business e-commerce.